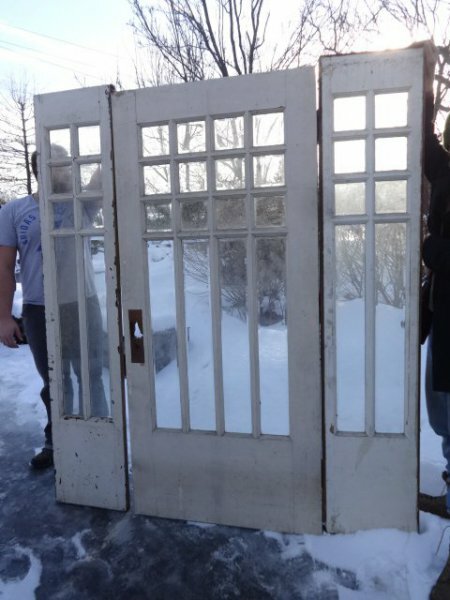 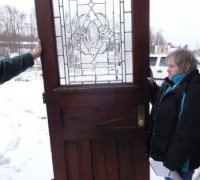 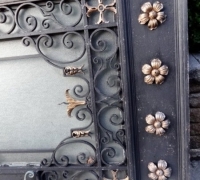 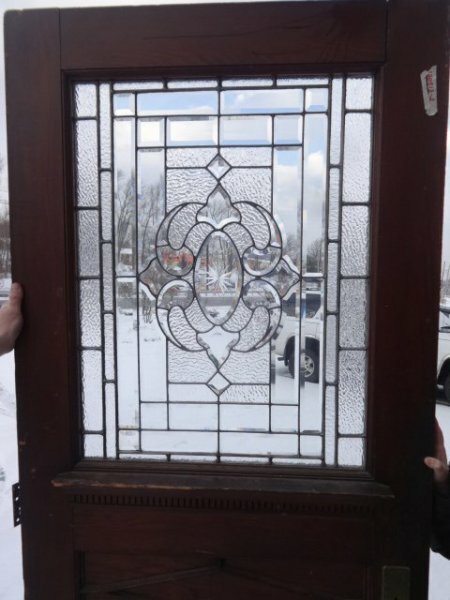 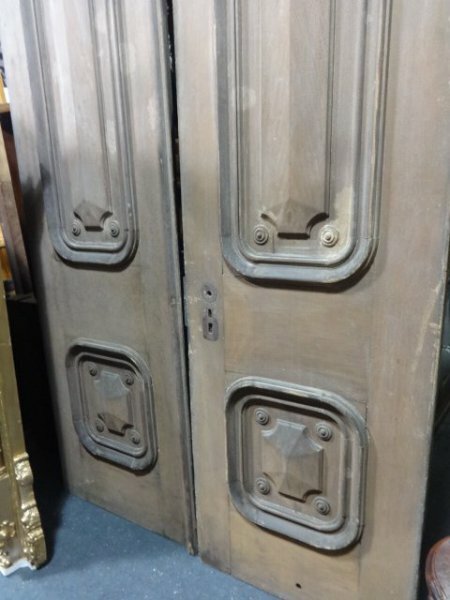 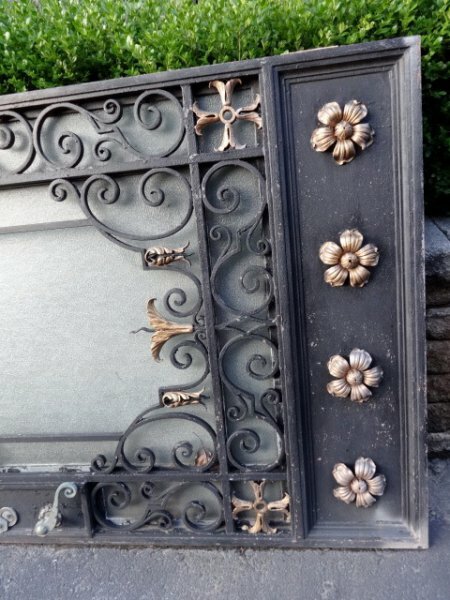 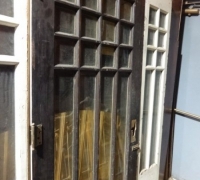 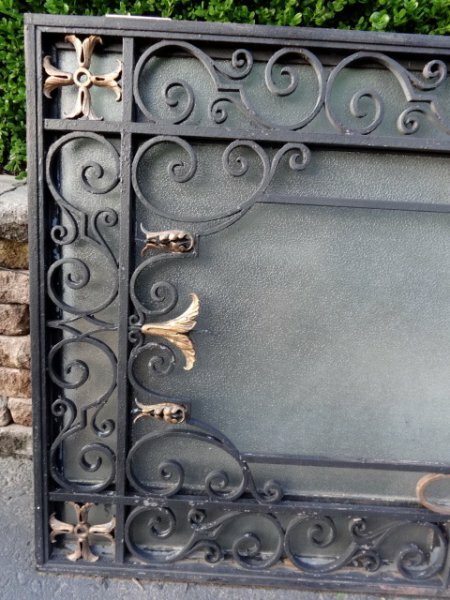 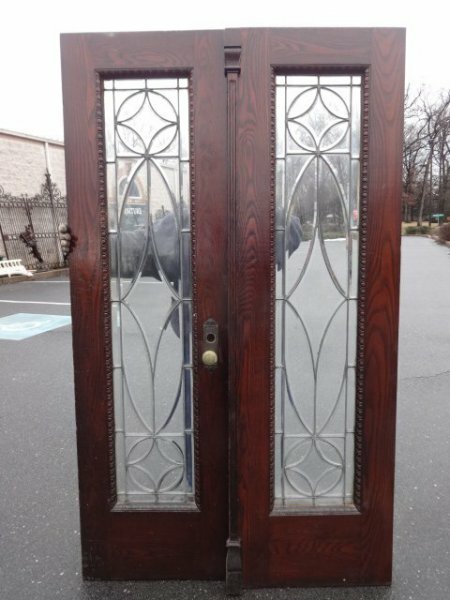 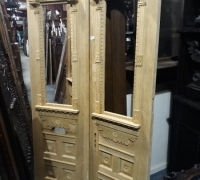 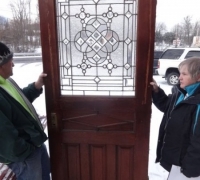 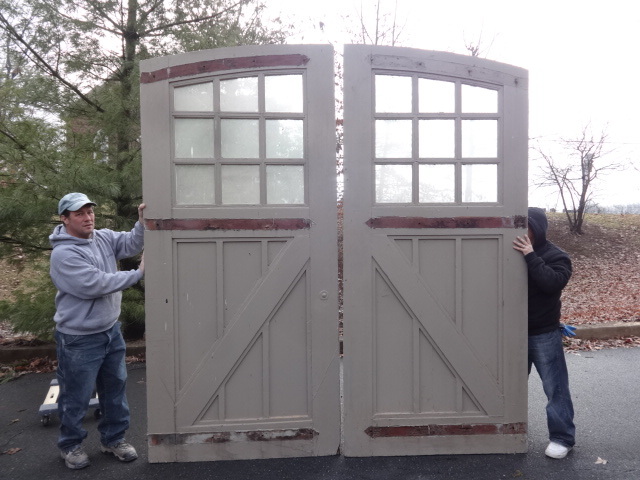 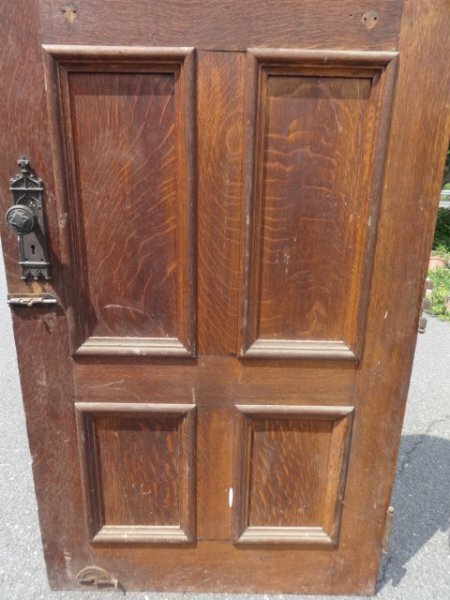 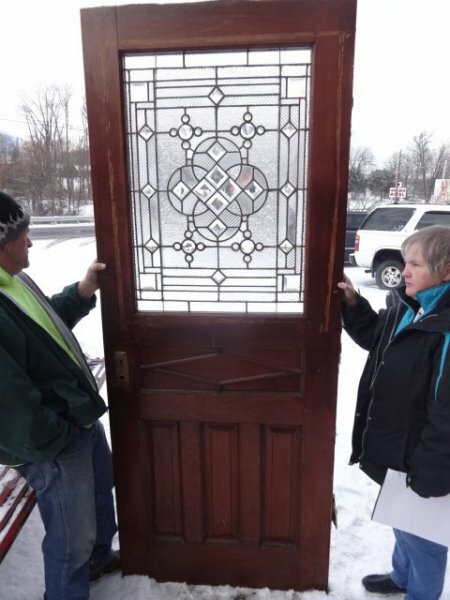 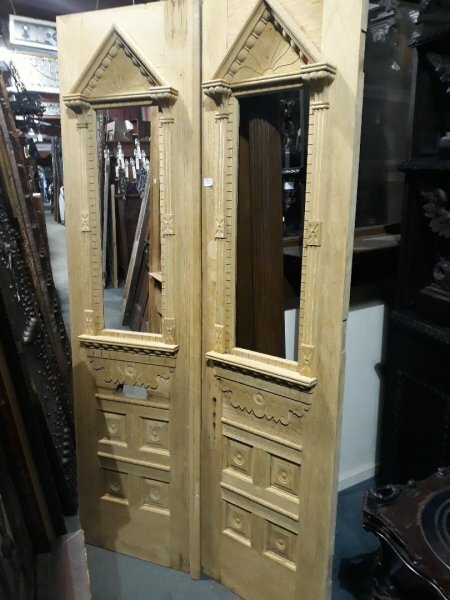 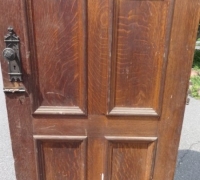 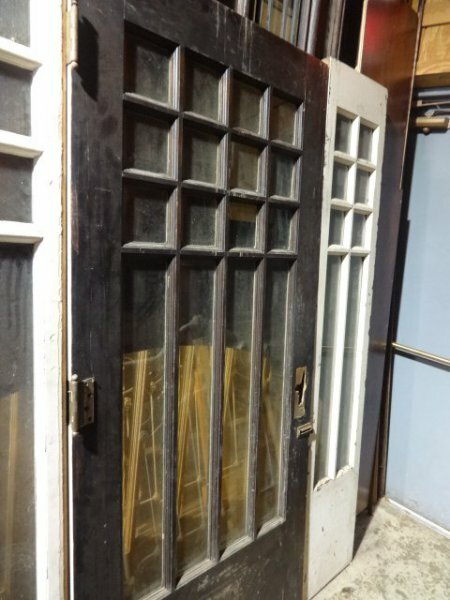 At Oley Valley Antiques we carry a large selection of antique doors that will add elegance and a unique touch to any home or any commercial building. 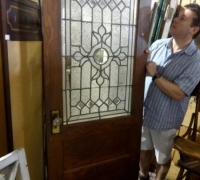 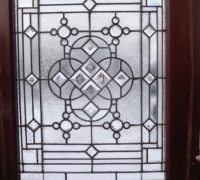 In our showroom we have the largest selection of antique leaded, beveled and stained glass doors in the USA! 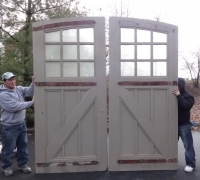 Antique doors are the focal point for any exterior facade or interior wall of a home or business. 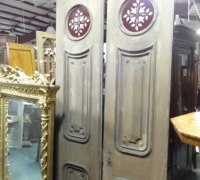 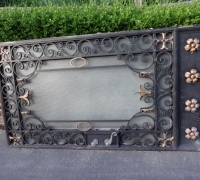 Whether you are looking for a formal, Victorian, Gothic, Rustic or Art & Crafts, Oley Valley Antiques has what you need. 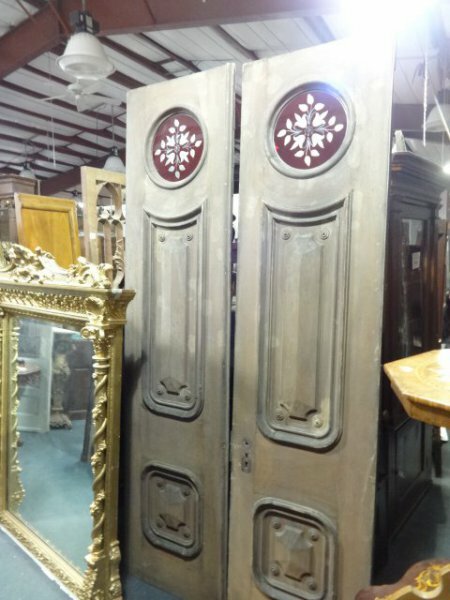 We carry beautifully hand carved wood doors, arched doors, stained or leaded doors and iron doors. 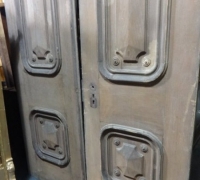 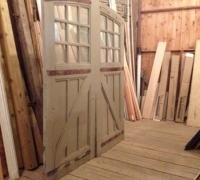 Our antique doors come in all different sizes and can be altered in our workshop to fit your specifications. 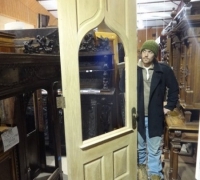 Our antique wood doors come in the oak, walnut , mahogany, or pine . 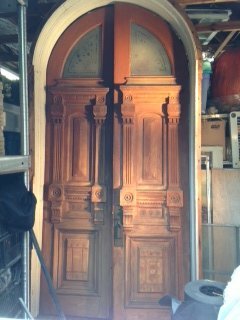 We can strip and refinish to your precise color or we can retain the original patina of any door. 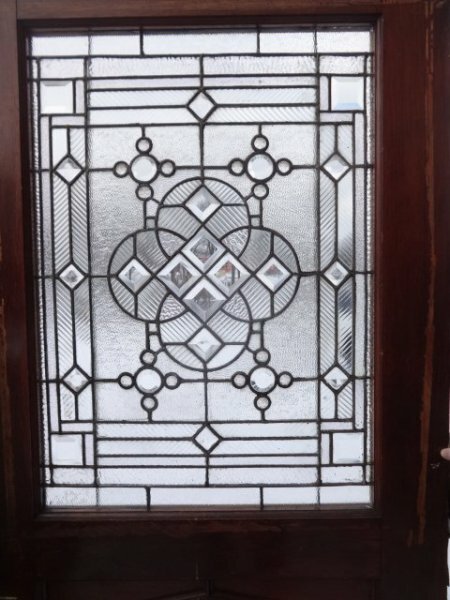 We have some of our sold installed examples on our website. 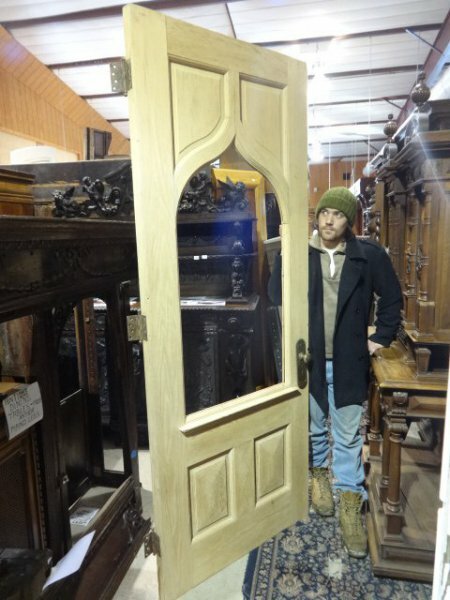 Most of our doors are circa 1850 to 1920 and come from Pennsylvania. 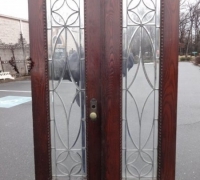 Most of our doors are exterior doors, however, any of these exterior doors can be used as interior doors. 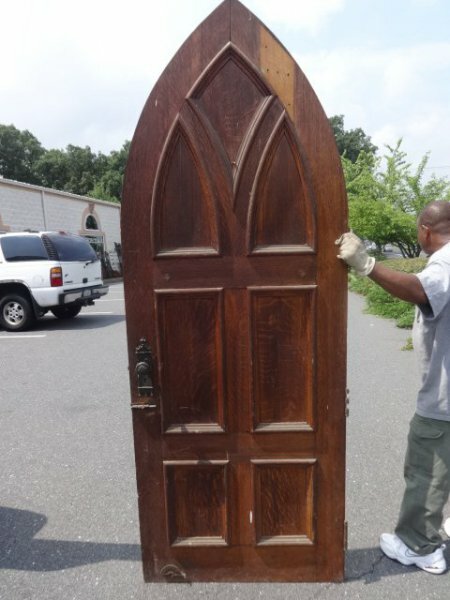 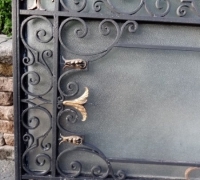 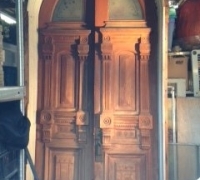 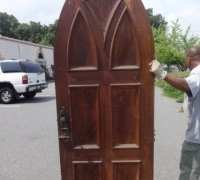 We carry a large selection of Victorian , Gothic doors that have the tudor mansion or church, castle style. 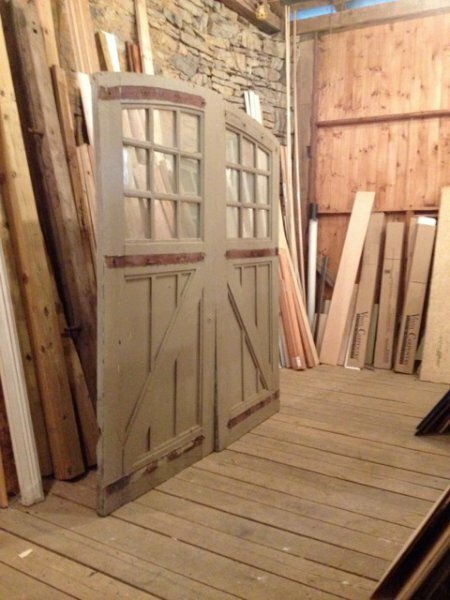 Whether you are looking for Federal, Formal, Gothic , stained or leaded, rustic, castle or barroom doors, we have them all in stock. 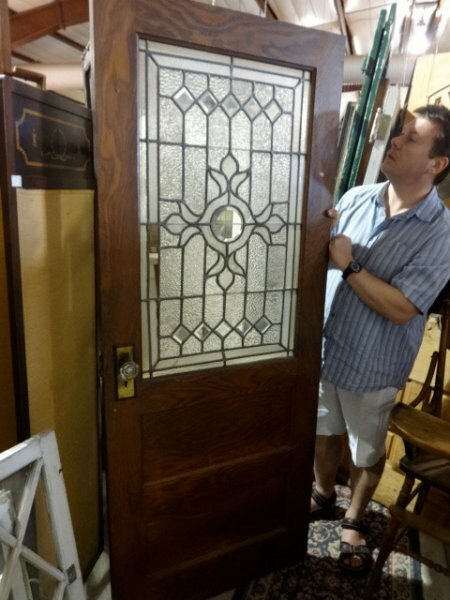 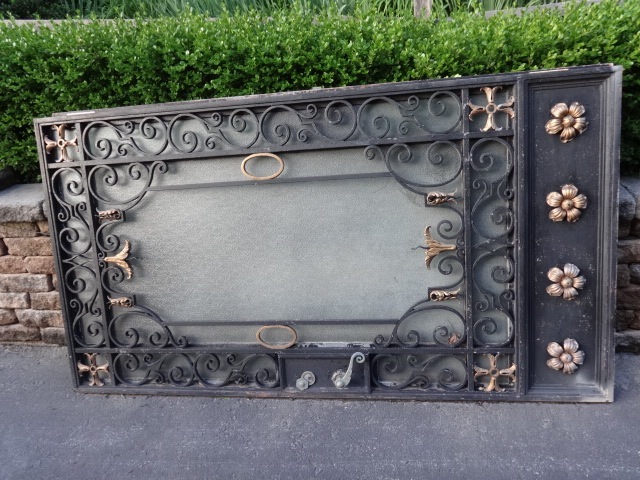 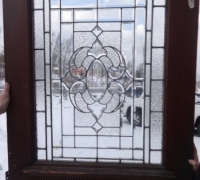 Please enjoy looking through our Antique Door Category and we will answer any questions by filling out our Contact Us page. 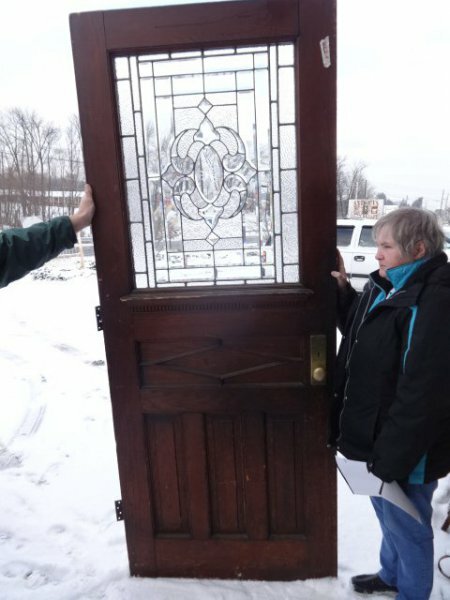 Please give us the number of the door that is in your inquiry.